PayPal is used by many to receive payments. Many of you believe that you need a PayPal account to send a payment then you are wrong. At the receiving end surely you need a PayPal account with your proper email address and valid bank account linked to PayPal but to send payment to a paypal account it is not necessary. Which means PayPal makes it easy to transfer funds even if you don’t have an account yourself. So read below to understand as how you can send a payment without having your own Paypal account. Payment request where the requester can send a payment request directly from his account. Another way is that PayPal offers a customizable, itemized invoice option to its users. There are also third-party bookkeeping services that integrate PayPal requests into their invoices. If you prefer to receive an itemized invoice over a simple payment request email, let the requester know. It’s important to make sure that the other party has your correct email address. Also, sometimes PayPal email requests can get buried in a spam or promotions folder. Ask the sender to notify you by text, phone or email after submitting the request. Once you receive the payment request or invoice, review the payment amount to make sure it’s correct. The invoice or request will contain the option of paying by debit or credit card. Click on that link and follow the instructions for entering your credit or debit card information. After confirming that your details are correct, you’ll be able to submit the payment. If you suspect that you will be working with this person or business frequently, setting up your own PayPal account might be a good idea, even if you don’t plan to use it regularly. When you receive a PayPal invoice payment request or PayPal.me request, you’ll be given the option of setting up a new account right then. Applying for a business account is very easy and simple. You’ll need to provide and confirm your email address. Next, you’ll be taken to a screen in which you can enter your business name and contact information. Finally, you’ll link your business PayPal account to your bank account to allow for secure funds transfer. PayPal offers other money request options via mobile app and the PayPal.me link, a customized link that PayPal account holders can use to request and receive money from others offline or online via email, text, chat, or social media posts. The downside to these methods, however, is that both parties must have a PayPal account to use them. If you receive a PayPal.me link from someone, you can either ask for a payment request or follow the PayPal.me link for instructions on how to sign up for an account. You may find using PayPal to be a cost-effective way to accept credit card payments, send invoices and handle bulk payments. You only need a credit or debit card and a recipient’s email address. Although you’ll need a credit or debit card to register, using it to make a payment on PayPal will incur a small fee. However, making a payment or sending money using your checking account number is free. ← How to get cash from an ATM through PayPal? 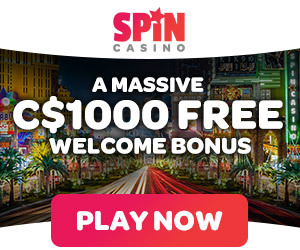 Why does as a Canadian I cannot make a deposit with PayPal at online casinos? June 15, 2018 Kamal Kaur Comments Off on Why does as a Canadian I cannot make a deposit with PayPal at online casinos?